Do you have a tree emergency? Are you looking for our available tree services? Would you like to schedule a free estimate? 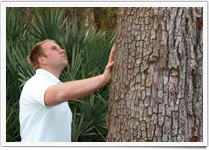 Would you like to speak to an Arborist? Are you looking for the areas we serve? Would you like to join the ArborNature team? 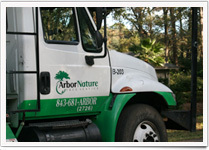 ArborNature's tree services can help you create and maintain a healthy, safe, and beautiful landscape environment. Our arborists will inspect your trees, diagnose any problems, and provide a tree service estimate free of charge. With 24-hour emergency tree removal services, ArborNature is ready to help you in the event of a tree emergency. See what our customers are saying about their experience with ArborNature Tree Experts. Explore the areas we serve located throughout Hilton Head Island and Bluffton, South Carolina. Join the ArborNature team and embark on a successful career in the tree care industry.